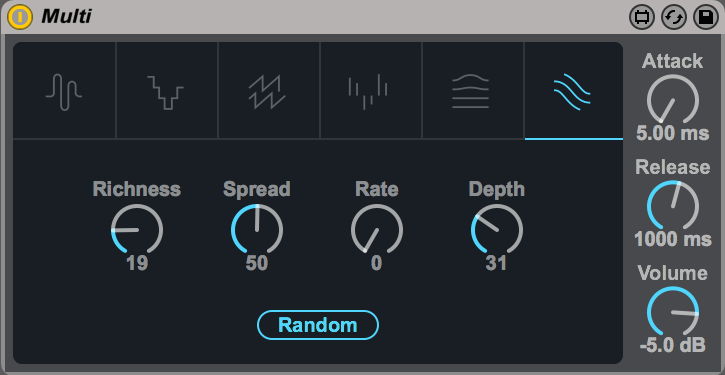 Buffer Shuffler 2.0: An improved version of Live 8’s Buffer Shuffler, with new effects to sequence (including stutter, gate, pitch, frequency shift, amp, and pan), plus a redesigned interface with improved layout and pattern storage. New, intelligent options for “dice” modes mean that you can precisely fine tune how sequences change over time. Pitch Drop recreates the sound of a vinyl record slowing down after the turntable’s motor is stopped. This results in the effect of the sound being pitched down. Discover Max for Live Essentials for yourself, and see how these devices and Racks enhance your music-making experience.